Cha chaan teng (lit. : tea restaurant) meaning tea restaurant, is commonly found in Greater China, including particularly Hong Kong, Macau, Taiwan and parts of Guangdong. They are known for eclectic and affordable menus, which include many dishes from Hong Kong cuisine and Hong Kong-style Western cuisine. Since the 1980s they can also be found in the Chinatown districts of many Western countries like Australia, Canada, United Kingdom and the United States. This morning, I went to The Vine at Wan Chai to attend a service with two friends. Afterwards, we walked to Eight & One for lunch. Scroll down to see what I ordered! 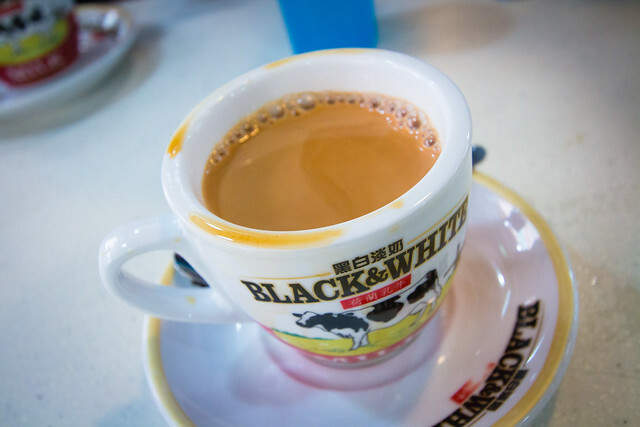 The key feature of Hong Kong-style milk tea is that a sackcloth bag is used to filter the tea leaves. However any other filter/strainer may be used to filter the tea. Sackcloth bags are not completely necessary but generally preferred. The bag, reputed to make the tea smoother, gradually develops an intense brown color as a result of prolonged tea drenching. Together with the shape of the filter, it resembles a silk stocking, giving Hong Kong-style milk tea the nickname of “pantyhose” or “silk stocking” milk tea (Chinese: 絲襪奶茶). This nickname is used in Hong Kong but less so in mainland China and overseas communities. 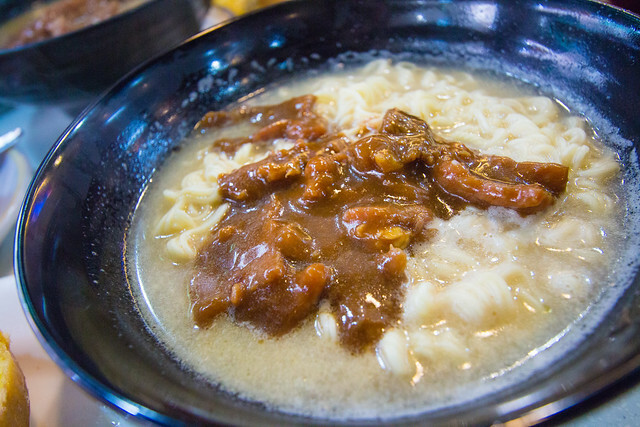 Hong Kong was once a British colony, and you can see British influence in cha chaan tengs. Most cafés carry toast and egg. The toast, however, is done differently in Hong Kong. 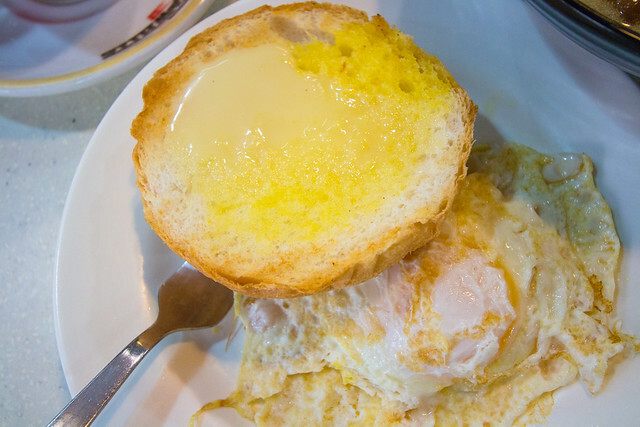 The bun or bread is toasted, with butter and condensed milk on top. Satay beef noodle soup. This was my first cha chaan teng experience, so I opted for instant noodles instead of the healthier rice vermicelli. My First Cha Chaan Teng Experience in Hong Kong! 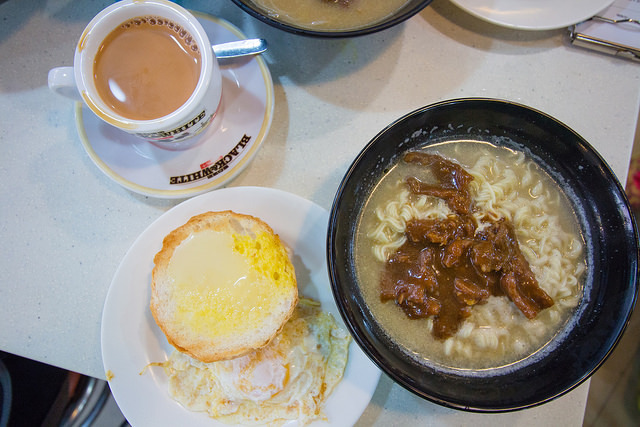 This meal setup is more or less a typical HK breakfast and staple. Some cha chaan tengs may sell this meal setup all day so you can get it at any time of the day!